Minimal track closures were achieved at Crediton Station by using a Layher footbridge structure erected by SRK Scaffolding in just a seven-hour overnight period. The project was part of a refurbishment programme being undertaken by Amco Rail – appointed by Network Rail – the main contractors for the work. 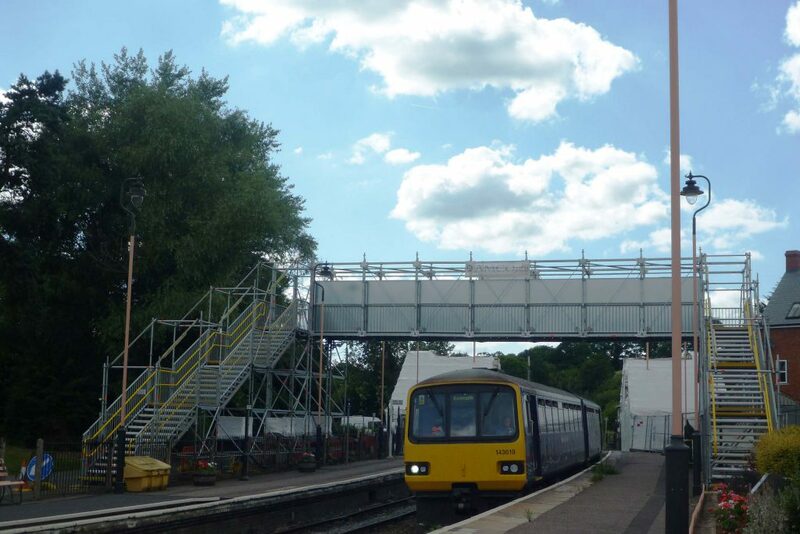 “The temporary passenger footbridge was specified to act as an access facility while the existing listed structure at the site was undergoing repair work,” explains Shawn Trott, SRK Scaffolding’s Managing Director. The company used the Layher bridging system and pedestrian stairs for the project. The bridge, which spanned some 15 metres, also gained from Layher Protect panels to a height of two metres, fixed both sides of the bridge walkway to act as a safety screen.